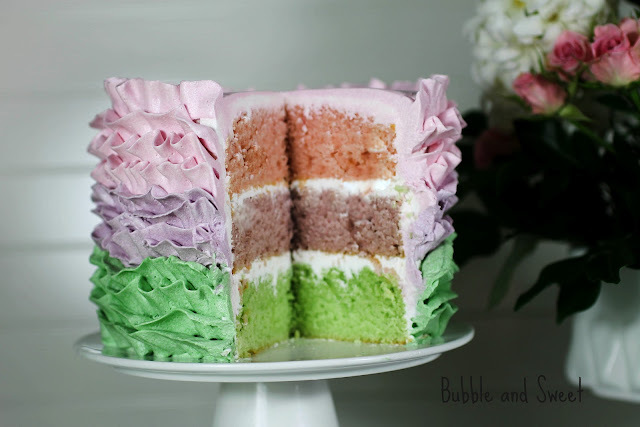 Tomorrow is mothers day and I'm not sure if I will get enough time to get a post out so I'm sharing a picture of the pink, lilac and green ruffle cake I made for our mothers day celebration. and YES it is buttercream this time for all of you that don't care for fondant. and I remembered to take pictures for a tutorial that I will type it up as soon as I get some time. It will include the recipe for the frosting and the piping tip and the colors I used....you know all that useful stuff. I'll let y'all know on my facebook page when I do it, otherwise check back here maybe next Sunday. 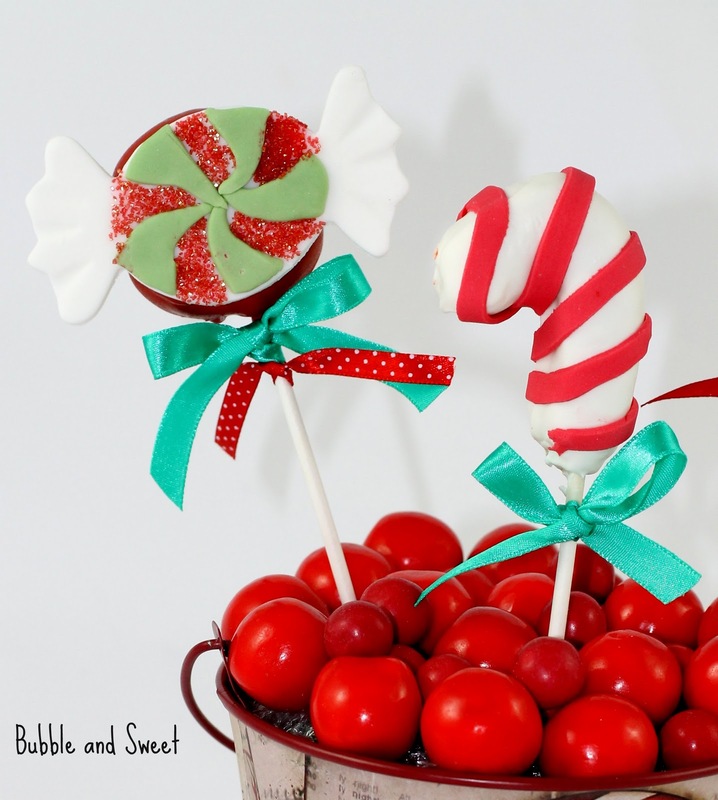 I just used the easy vanilla one bowl cake from my book sweets on a stick to make up the cake and added some flavor to the mix before baking. What a beautiful cake. Looks absolutely delicious. Looks gorgeous and yummy. Wonder which is easier.. fondant or buttercream to do the frills. Thinking of using this technique on a dolly vardon cake. I'll look forward to reading your step by step instructions with buttercream. Have a happy Mothers' Day. Hi Belinda, the buttercream took about a quarter of the time of the fondant ruffles. It is def easier to do the buttercream but the ruffles are not as thin and pretty as the fondant. You make the most beautiful cakes~most recently this one and the ruffled dress! WOW! Hi Linda, Thanks for sharing this newest version with all of us. I admit I am one of "those" People who prefers Buttercream over Fondant. Fondant def. looks prettier in most instances but Buttercream def. tastes better, IMO. I have a question regarding shortening if you wouldn't mind ans. I am wanting to make a cake similar to this one for my Daughters Birthday in June. It will most likely be pretty warm/humid outside so I will def. need a more sturdy icing. I have read that high ratio shortening is quite a bit more hearty than standard shortenings, have you ever used HR Shortening and if so do you find that to be true? It also claims to keep the icing from breaking down as quickly therefore, resulting in a more durable icing which would be extremely helpful in warmer, more humid conditions. I live in the US,right outside of St. Louis, and to say it's fairly humid here during the Summer months would be a massive understatement. I appreciate you taking the time to share all of your beautiful creations & most def. anxious to see what's next! Also, wanted to let you know that for some reason when I try to connect to your blog through Pinterest I get an error message saying "Sorry! Users have reported that this links to spam or other inappropriate content" I just thought you might want to check into it.